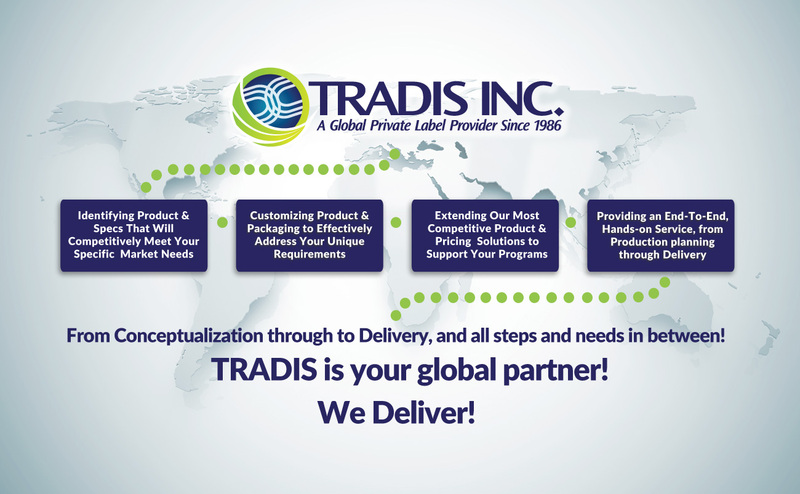 For over thirty years Tradis Inc. has been a reliable international B2B sales source of baby diapers, adult diapers, wet wipes, sanitary napkins as well as many other disposable hygiene products , health & beauty products (HBA), personal care products and a variety of related product categories. We specialize in providing our clients with competitively priced turnkey product solutions, tailored to address the competitive challenges of their dynamic market settings. All products are sold by the truckload / container load quantities only and are available under existing labels, private labels, and bulk packaging. Customer satisfaction is our prime mission. Our venerable long standing trade-relations with importers, distributors, retailers and manufacturers worldwide are a testimony to our company’s international sales reach, competency, reliability, and commitment to client success.